The only road in, Fragaria Road was in danger of collapsing and thereby isolating a Kitsap County waterfront community. Responding quickly with geotechnical design to help stabilize the failing roadway, we expedited the project through repair options analysis and design; and into construction planning, bidding, contracting, and oversight. Combining soldier pile wall and driven soil nails, our design solution both met County design standards cost effectively, and was appropriately scaled to the community’s road use. 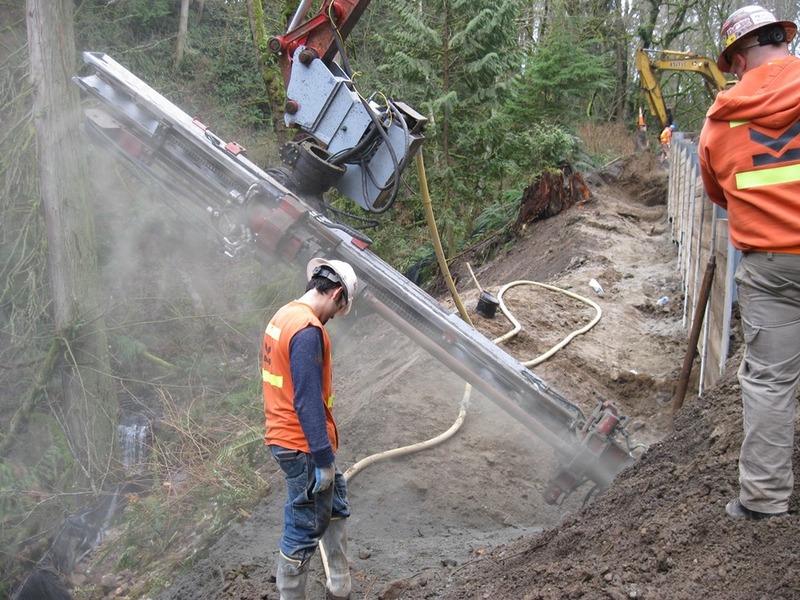 For more than a decade, Aspect has provided ongoing geotechnical engineering and construction services for the landslide-damaged Rockaway Beach Road site. Aspect’s local knowledge of the geology and on-going erosion processes provided the basis for the development of the roadway repair. The repair included a shoreline revetment wall, mechanically reinforced earth slope, and re-built roadway shoulder. Aspect provided expedited support and recommendations for design changes that occurred late in the project and responsive field support during construction.